“Mom don’t sing,” my 7 year old said to me as we walked into the movie theater to watch Beauty and the Beast. He knows me. I looooooooooove to sing along with Disney movies and this one is my fav! Of course I downloaded the soundtrack as soon as possible and you’ll find me singing along with it often. The Beauty and the Beast soundtrack will be on sale in iTunes for $7.99 through May18th! Grab it! While you’re there visit the “Moms” playlist on the Disney curator profile on Apple Music. If you don’t have iTunes you can find on Amazon for a couple dollars more. 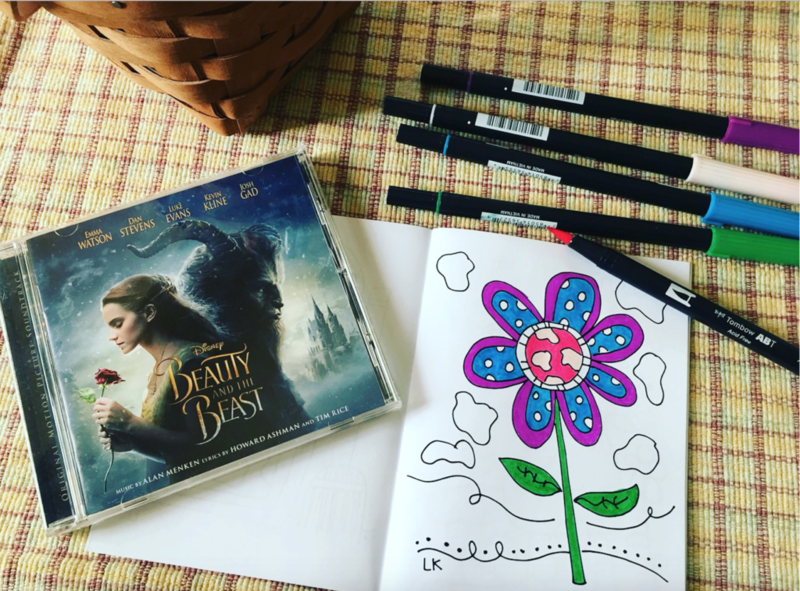 WIN the Beauty and the Beast CD Soundtrack – 2 Winners! Links may be affiliate. This giveaway will end on May 25, 2017 at midnight MST. Winners will be drawn via rafflecopter. Once a winner is drawn I will contact them and they will have 48 hours to reply before I draw a new winner. Giveaway is open to anyone in the US. You must be 18 years of age or older. Giveaway is not affiliated with Facebook & I release them of liability. Winner will be posted in the rafflecopter widget. A Moment for Mommy Event ~ SIX Winners! No, I haven't seen it yet but everyone is talking about how good it is!!!! I never got to see this version of Beauty and The Beast,I wanted to but somehow I missed it when it came to my town. I have not seen this movie yet, but I plan on seeing it with my mom! I haven't yet seen this, but have heard lots of great reviews! I saw Beauty and Beast and I loved everything about it. My daughter has taken her little girl to see this movie. My granddaughter loved it and wants me to take her to see it again. I have not seen it yet but I do plan on seeing this movie remake. I haven't seen this Beauty and the Beast movie yet. I didn't get to see it when it was in the theater! I would so love to see it, I have always been a big Beauty and the Beast fan! We have seen this movie and loved it! I have not seen the new version yet. No, not yet, hope to soon. Yes we saw it over our spring break and loved it! I have not seen it. This is my husband's favorite Disney movie. I saw Beauty & the Beast twice and the cartoon version numerous of times due to 11 grandchildren. ~hehehe~ The movie I saw with my oldest daughter & two of my granddaughters & once with my sister-in-law! I LOVE THE MOVIE! I haven;t, I will probably wait and watch it at home. We seen the movie and we absolutely LOVED it! Its a great adaption from the animation film! I haven't seen it. We will probably wait until it is available on Redbox. I have not seen it yet, ahhhhh. I haven't seen it but I can't wait. It was my favorite Disney movie growing up! Saw the movie & loved it! I have not seen the new Beauty and the Beast movie but we have the animated version. I did, and I loved it! I saw this movie 4 times! Loved it! I saw The Beauty and the Beast movie with my wife and we both really enjoyed it. Thanks for the giveaway. I hope that I win. I have seen the new live action moving picture! No I haven't seen it yet but my daughter did and I'd love to have the CD for her!